Creepy clown have gone viral. Now, have not so friendly clowns made it to Las Vegas? 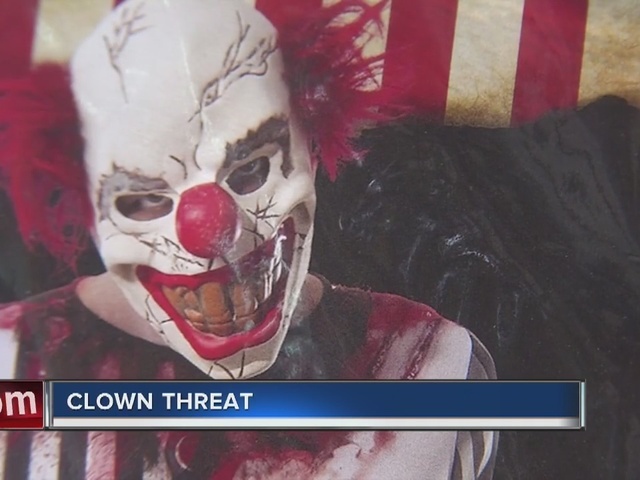 A lot of parents are disturbed about a creepy clown profile on Facebook that's posted threats aimed at both a school and individuals. One mother says her son has received direct messages making her want to keep him out of school. "They said they know where we live and they're at our window so [we should] check our window," said Lindsey Welch, whose son goes to Chaparral High School in Las Vegas. "We don't want to go outside." He received a message from someone with a clown profile that said, "I'll cut you." "Somebody shouldn't make threats like that, whether they're real or fake," Welch said. 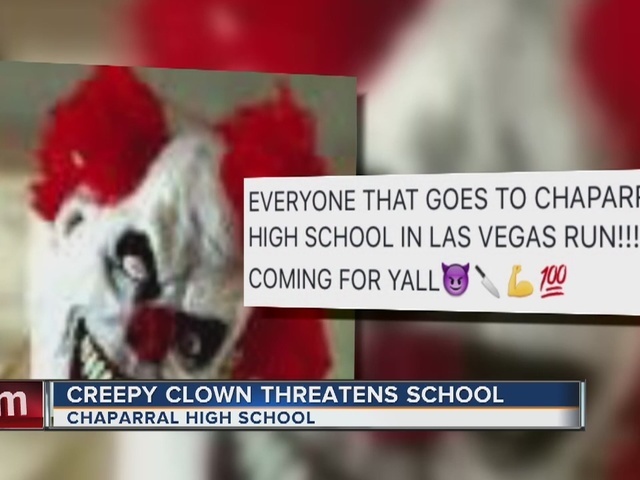 Whoever's behind the "Garbo The-Clown" profile posted a threat to Chaparral students this week that went viral. It said, "EVERYONE THAT GOES TO CHAPARRAL HIGH SCHOOL IN LAS VEGAS RUN!!! WE COMING FOR YALL." "Everybody was starting to freak out but mostly everyone doesn't believe it," said Raymond Ruiz-Livingston, a Chaparral student. Clark County School District Police say they're aware of the post and have officers looking into it, but at this time there's no reason to believe that it's a credible threat. "I'm not sure if it's a joke or somebody in the school or what but they're sending pretty scary messages," Welch said. Students expect the Garbo profile and threats to lose steam by the end of the week.